This is an abridged version of a lecture given at Hillsdale College on June 29, 2017 as part of the Barney Charter School Initiative’s summer teacher training. The original (available upon request) includes details about seminar setup procedures, grading, how the other components of a literature class complement the seminar, and how to adjust procedures and expectations for older and younger students. The big difference between seminar and what is normally called ‘class discussion’ is that with seminar, the teacher is not the center of attention and doesn’t intervene after every student contribution. In seminar, students need to face each other, look at each other, and respond directly to each other. This is a fearsome prospect for teachers, because it seems to mean they will lose control of the tone and content of the discussion. It also seems at odds with the teacher-centered model of classical education. Seminar seems to entail the teacher’s abdication of responsibility in leading the students to understand a book or an idea or an argument. Maybe they are the real teachers and we are to learn from them? The strongest critique of seminar is that it creates an environment where the one who knows the most and understands best, the teacher, loses his or her authority, but also where those students who have the best insights are reduced to a common level and subjected to the whims of the multitude. These things can happen, and will happen, unless seminar is done properly and integrated into a broader context where students are expected to think about texts critically and independently, are responsible for their own thinking and interpretations, and are encouraged to be bold in sharing those thoughts with others and thinking through their implications openly. Students have to prepare for seminar in multiple ways. First, they have to do the readings and ask questions about them. I encourage and enforce this in multiple ways. For instance, I require students to do annotations in their books. We give students copies of the texts in Literature so they can do precisely this: underline, highlight, star, and more importantly, identify running themes in the text and ask regular questions in the margins. Finally, students prepare for seminar by doing journal questions. I have students keep a composition notebook dedicated to Literature. Along with their readings, students write a question in their journals for the assigned reading, along with a response of around five-to-ten sentences which draws upon and cites the text for evidence. I don’t call this second part an ‘answer’ because I want them to think dialectically, offering different possible answers and putting them up against each other with the text as the authority which might decide between them. This process of asking questions and responding to them dialectically in their journals prepares students for seminar because it is basically what happens in seminar: I will ask a question, and the class will put forward possible answers. In order to decide between those answers, they will have to ask other, related questions, they will have to define terms, and they will have to look to the text for evidence. Just as when working through a question of their own, on their own, in their journals, students are not able to ask the teacher for “the answer,” they are also not able to do this during seminar; there, the teacher is not an authority and does not speak authoritatively. Through annotations and journals, students practice the art of asking questions of the text. The real insight, the real wisdom to be gained from reading, is in asking the right questions. I had a professor in graduate school who was fond of saying, in response to student comments during class, “That is a question,” and leaving it at that. He wasn’t being dismissive; he was agreeing: “Yes, you have identified a real and important question about what is going on in this work.” It was a term of praise. Seminar begins with a question. A good question is one which is not something immediately answerable from the book or a dictionary, not a historical question, and not a mere oddity. It is something thematic or contextual having to do with the plot or the themes of the text. A good question arises out of a struggle to resolve a seeming contradiction between two passages. It asks what the author wants us to ask; asking those questions is identifiable simply with the act of reading the book. We start with simple questions of motivation: why does this character do or say this? What does he or she want? Then we compare characters and arguments. Finally, we ask the thematic questions about the text as a whole. Here are some example questions from 9th grade Classical Literature: What is Achilles angry about? Who is the best of the Achaians? What is glory, and why is it important? Why does Hektor go out to fight Achilles? What are the gods? Why is it important that Anchises go with Aeneas? What does Aeneas understand about his task? What is piety? Who’s more justified, Aeneas or Turnus? What is fate? Why does Antigone feel she has been betrayed by the gods when she goes to her death? Why is Orestes pursued by the Furies even after he has been cleansed by Apollo? What does Vergil do differently than Homer? Sometimes I have students write down the opening question and think about it for at least thirty seconds before talking. Students need to learn to think quietly and listen just as much as they need to learn to talk. But of course, all the fun is in the talking. Sometimes it seems like it’s either dead silent, or everyone is talking at once. There has to be some order, but the teacher doesn’t want to stifle the students, either. They shouldn’t be raising hands, or putting their names on a list, or looking to the teacher for permission to talk. The point is for them to regulate themselves. This is why I have only two rules. These rules have all sorts of corollaries, but there are only two fundamental rules: first, respond to what the last person said; and second, talk only about the text. The first rule–respond to what the last person said–is an essential rule for conversation. Unless we respond to the substance of each other’s remarks, it’s just a bunch of non-sequiturs, which the teacher has to find a way to bind together. A conversation has to maintain a thread between the interlocutors. We have to mean the same things by the words we’re using, and because we don’t always do that, we have to ask clarifying questions of each other. Seminar is a communal endeavor: we are trying to find the truth, or better understand the text, together. It is not a battlefield where words are weapons. Although of course we sometimes take sides, and the discussion will divide us into two or three camps, the point, ultimately, is for our understanding to be refined, together. Seminar is a communal endeavor: we are trying to find the truth, or better understand the text, together. It is not a battlefield where words are weapons. There are all sorts of corollaries to the first rule. We have to pay attention to the substance of his or her words, not merely to their emotional meaning. We have to have an attention span for the logic of the discussion. Because we’re responding to each other, we look at the last person who talked, not at the teacher. We certainly don’t raise our hands, because that would suggest that we are asking his or her permission to talk, but we already have that. We don’t talk over each other, and one person speaks at a time, no matter how excited we get, and how urgent what we have to say is. And finally, it means that when we enter the conversation, we have a responsibility to say something pertinent to the discussion at hand, which allows someone to respond to us in turn. The second rule–talk only about the text–is a lot less obvious than it sounds. There are all sorts of things we could talk about besides the actual text we are there to talk about: ourselves, our lives, our friends, other books, movies, or music, ideas in general, history, psychology, science. All of these things will come up in seminar, and while some are more flagrantly contrary to the spirit of the endeavor than others, they all are, and it is the teacher’s job to correct these remarks without discouraging those students who don’t yet know any better. The History Lesson: A student matter-of-factly informs the class that “at that time, they cared a lot about glory” or “there were many civilizations that fell around the time of the Trojan War.” The first kind of comment separates us from the material; it makes it not applicable to us, impenetrable to our understanding, or a mere curiosity. We are so above concern for glory– that is just a silly thing the characters in this book care about. This is just one of many ways people try to make the task of understanding a book easier, by dismissing and categorizing it. The example– about how many civilizations fell– is irrelevant. It does not help us understand the Iliad; in fact, in may make it harder to understand. Why is this dinky little battle such a big deal? Of course, properly considered, such facts are part of one’s education, but they should be kept distinct from conversations about books because they tend to provide ways not to have to wrestle with the problems which are presented within the context of the books themselves. Similar to a history lesson is the Psychological Diagnosis. This character is OCD; this one is bipolar; this one is a sociopath. There: we’ve diagnosed the character; it’s all a simple matter, really, as he’s just suffering from this disorder or disease, and it’s not a question of his character or his soul. It’s sad, but not really interesting. Again, this is a way to put ourselves above the problems of the text and not really to consider them. Personal anecdotes are just as unhelpful as outside references. They tend to alienate students, distract from the topic at hand (the problems of the text) and invite further anecdotes from other students. Teachers of younger students, especially, understand this. When one student starts telling a story, everyone else starts thinking of his or her own story. (Come to think of it, adults do this too.) Sometimes stories can be helpful: when they’re framed as a common human experience which is also taking place in the work of literature being discussed. If the characters and experiences of the literature we’re reading aren’t relevant to us and our lives, obviously it wouldn’t be worth investigating. However, most of the time these analogies are quite shallow, and a distraction from the real work of reading and talking about the books on their own terms. They are an easy way out. People, especially gregarious people, are much more comfortable sitting around telling stories, than reading a book closely, but seminar should be more like the latter than the former. Furthermore, while it is good to find common ground between the books we read and our own experiences, the problem with that is that most students have not yet had very profound experiences, or don’t have the language to articulate them. When they quickly jump from a superficial impression of the text to their own lives, they are making the text conform to themselves, rather than conforming themselves to the text. But that is to misread great literature, which is great because it is profound, because it describes human things artfully and truthfully. Reading and studying great literature closely, and especially struggling to articulate its meaning to each other, has an effect on us; we should not use it to adorn ourselves and our own lives, transforming it to make it fit ourselves, but rather be transformed by it. At first, the language of the soul and its virtues used in the Iliad is foreign to us. But by reading it respectfully, not doing violence to the text by using modern spiritual and moral language, we come to understand that older language, and that has an effect on our soul: it deepens our passions and introduces complex gradations of feeling where before were only roughly defined areas of good and bad feeling. Reading and studying great literature closely, and especially struggling to articulate its meaning to each other, has an effect on us; we should not use it to adorn ourselves and our own lives, transforming it to make it fit ourselves, but rather be transformed by it. Only talking about the text means that the text is not just a jumping-off point for the discussion; it’s not just something to get a conversation going, to remind us of ourselves and our own experiences. It’s not even that we are using the books to talk about ideas or concepts. Great books have great ideas in them, yes, but the only way to come to understand and be really familiar with those ideas is through the books themselves, and so seminar discussions have to be about the text. The text is the authority; the text resolves controversies; the text is what we share in common and can each refer to. For this reason, the teacher must teach students to cite the text regularly. In my class, they have already cited the text in their journals, giving them something to start with going into the seminar. But this must continue during seminar; students should cite specific passages, and the other students should go to the part of the text being cited. If they have prepared well, they might have already some annotations for that part of the text; if not, they might add some right then. When the teacher insists upon the text as the subject of the discussion, and makes it the sole authority, he grounds the seminar in something non-arbitrary; he provides a touchstone for everyone. The teacher will soon find that students are asking each other what certain phrases, certain episodes, certain words mean. They will hold each other accountable, asking, “Can you point us to evidence for that argument in the text?” Their controversies will begin to be based not on whim and arbitrary preference, but on disagreements over the meaning of the text. When students have reached this point, the role of the teacher can be very minimal. In my seminars, I often don’t speak for half an hour after asking the opening question. This is not to say that there aren’t awkward moments of silence, or that I don’t have things I could say. Of course a teacher always has things he or she could say. The students are not going to be talking about the text on the teacher’s level. They are going to be missing huge points, massive allusions, crucial points of significance. Some teachers think they are being neglectful if they don’t step in at these points. But most of the time, the teacher shouldn’t step in, and often when he doesn’t, he finds the students, sometimes with a gentle nudge, but sometimes without, will get there on their own. Seminar is not the time to lecture. But most of the time the teacher shouldn’t step in, and often when he doesn’t, he finds the students, sometimes with a gentle nudge, but sometimes without, will get there on their own. Seminar is not the time to lecture. The teacher should speak first, to gently and briefly correct when a student begins to give a History Lesson or personal anecdote, etc. ; second, to restate, rephrase, or develop the opening question in accordance with how the discussion has progressed; thirdly, to point students to textual evidence for something being asked or asserted; fourthly, to take a controversial stance so as to force students to articulate arguments for the contrary; and finally, and most importantly, to summarize clearly the main positions being taken and the arguments for them, including the textual evidence. Seminars will often spin their wheels, with the same arguments being repeated over and over. Or, once the main positions have been stated, students will, rather than do the difficult work of delving into the text in order to resolve the controversy, talk about increasingly tangential things. In these moments the teacher, and sometimes, the best students, must clearly articulate the main positions and ask further questions to get students to dig deeper. Or, sometimes a good thing to do, when the whole class has decided on a certain position with superficial or incomplete reasoning, is to take a controversial stance and force students to encounter it. Seminar can have all sorts of problems. When the teacher first introduces seminar, it’s unlikely to succeed, and the teacher and students will probably be frustrated. Even experienced students and seminars have bad days. Some problems can be addressed by speaking to the whole class, but mostly they are remedied by speaking to individual students. There might be a class that all wants to talk at once, or where no one wants to talk at all. There could be a few students who dominate the conversation, and others who say seemingly random things. There will be students not paying attention to each other, and just waiting to say their own things. Some students are just too shy to talk, even though they have plenty to say, and their contributions could be helpful. Some students need to be told what kinds of things they could say to be helpful– even if it’s just, “I don’t know what we’re saying right now” or “What do we mean by this word?” (these kinds of comments are far more helpful than students realize). Others need to be told to reduce the quantity of their contributions and increase their quality. And the best students, the ones who are great readers, great listeners, and great synthesizers of arguments, must be taught to act as moderators who, at lulls or moments of confusion in the conversation, can restate the main arguments on the table. There are also the problems of relativism and historicism, which are the teachings that all ideas are relative to culture, and historically determined, respectively. All students are more or less afflicted with these curses of thinking, even though when the teacher describes them, they all, for the most part, insist, “Oh no! That’s terrible! I don’t think that.” But they do. These ways of thinking are destructive to seminar discussions, as they make their subjects largely irrelevant, a mere curiosity. What do we have to learn from the Iliad if its characters only care about glory because of their culture and their point in history? The teacher can explain this to the students, of course, but the best thing he can really do to cure them of this affliction is always to represent to them that the books really are relevant and timeless. Seminar itself, rightly done, undermines these ways of thinking, as it emphasizes that there is truth, and it can be known. 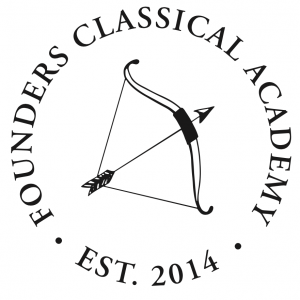 Learn more about seminar discussion at Founders Classical Academy of Leander here.